And to employ the old Mohammad Ali adage, this one floats like a butterfly and stings like a bee. The fights and the conflicts look real and not staged. Since both the protagonists in the film are boxers, the fights go for the kill. It has enough heart. It’s the heat that is missing. 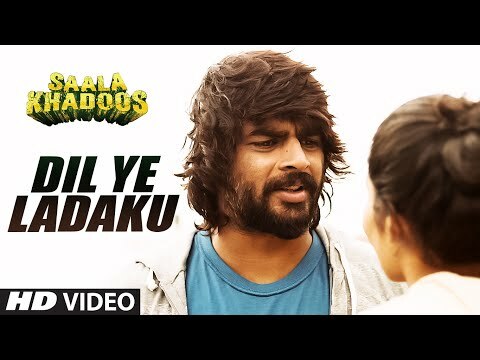 So on an overall basis, ‘Saala Khadoos’, despite of its uncanny similarities with ‘Chak De India’, is a great watch over this weekend. The movie boasts of some good music and great performances and is a perfect combo of performance & punches (boxing matches). On the whole, Saala Khadoos is a heartwarming entertainer which will grow by positive word of mouth. R Madhavan and Ritika Singh’s honest performances saves the film from being a complete WASHOUT! 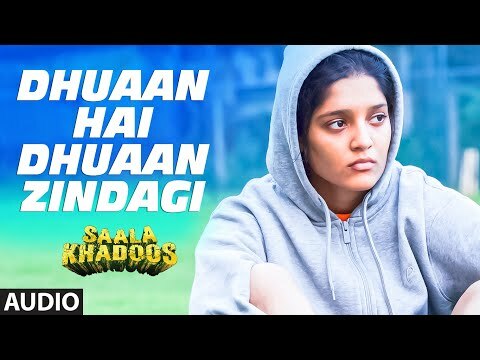 Saala Khadoos is essentially a different movie, which showcases the menace of politics in sports. With a thumbs up to woman power, coupled with a strong subject and good performances, Saala Khadoos is bound to strike a chord with a cross section of viewers, irrespective of being sports lovers. Coach Madhavan, brazen Ritika Singh make the best boxing duo! PK succeeded Oh My God. Saala Khadoos releases after Chak De India, Mary Kom and Hawa Hawai. Well, that doesn’t make it a bad film, it’s just bad timing. On the whole, Sala Khadhoos is a honest approach towards attempting realistic cinema. But the predictability of the story makes its 109 minutes feel like three hours. R Madhavan plays Professor Higgins to Ritika Singh’s boxer in a drama that is overblown but also affecting. The background music has been suitable, but the songs act like barriers throughout, except one song that reveals Madhi’s makeover. The cinematography is the major highlight and the movie looks realistic because of the excellent work by the cinematographer. The production values have been rich and the director failed to take the film to the next level because of some flaws in the second half of the film. With a thumbs up to woman power, coupled with a strong subject and good performances, "Saala Khadoos" is bound to strike a chord with a cross section of viewers, irrespective of being sports lovers. Saala Khadoos’ flaws overpower its genuineness. We wouldn’t go as far as to call it a shallow film, but there is a serious lack of heart that cannot be compensated for. अगर प्रेरणाप्रद और स्पोर्ट पर आधारित कहानियों के कायल हैं. आर माधवन आपको पसंद हैं तो यह फिल्म अवश्य देखें. 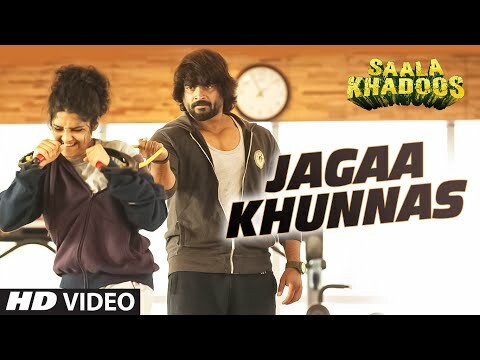 R Madhavan and Ritika Singh deliver a 'knockout' performance! Also, there is little sport in this sports-based film. '3 Idiots', 'Rang De Basanti', 'Tanu Weds Manu' and many such more, R Madhavan has always proved his worth as an actor. His prowess as an actor is not unmatchable, and sadly that proves to be the only saving grace for his recent release, 'Saala Khadoos'. 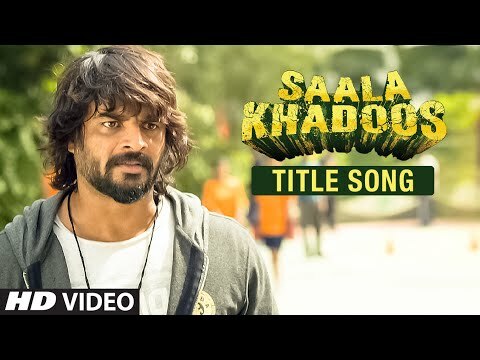 ‘Saala Khadoos’ is highly reminiscent of Shah Rukh Khan starrer ‘Chak De! India’, but reaches nowhere near that film. Director Sudha Kongara Prasad has cramped too much in a 109 minutes film.